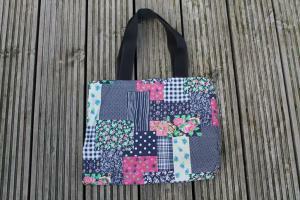 Hand made fabric re-usable handy tote bag. 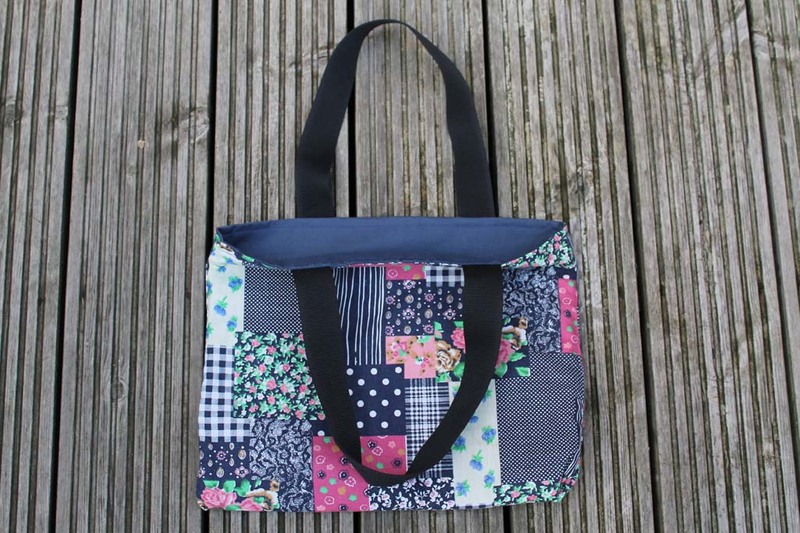 This unique hand made bag, made from tough fabric with a light fabric lining is ideal as a handy carrier or shopping bag which is easily folded and stored until required. 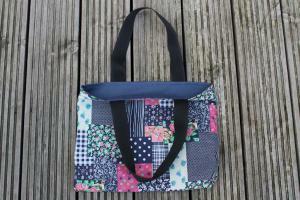 The bag is also reversible allowing it to be turned inside out. 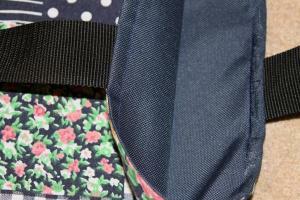 It comprises a pair of strong nylon webbing handles and one large single open topped compartment.